The early 1990s were turbulent times for social services. Directors of then integrated adult and children’s departments had to cope with introduction of radical community care reforms, a relentless torrent of child abuse scandals, both genuine and panics of the “satanic” kind, and for good measure the considerable backwash from creation of the NHS internal market. That the former Association of Directors of Social Services managed to steer a steady course through such stormy seas and, more than that, exert real influence, was due in no small part to the calibre of its leadership. And one of the most outstanding figures in that cohort was Ian White, who has died aged 70. Ian was ADSS president in 1991-92, but was still a member of the executive and a committee chair in 1995 when he produced the report for which he is best known to the wider world, an inquiry into the handling of abuse allegations in Islington, north London. The context was incendiary - a sustained campaign by the London Evening Standard; claims that political correctness had overridden child safeguarding; an alleged cover-up involving at least one local politician with a national profile – and Ian, who was then DSS in Oxfordshire, must have thought several times before agreeing to Islington council’s request to investigate. The result, the 60-page “White report”, was not formally released into the public domain until 2013, further to an FoI request, although it had made national recommendations and been copied to the Department of Health in 1995. But it was widely understood from the outset that the findings by Ian and his co-author, Kate Hart, an Oxfordshire AD, were no whitewash, determining that the council lacked a strong ethos of children’s rights and that its approach to equal opportunities had been a disincentive to challenging bad social care practice. No one who knew Ian would have expected anything less. He had developed a reputation for clarity of thinking and professional integrity that would see him poached later in 1995 by Hertfordshire, where he served as DSS until 2000 and where he subsequently chaired a local NHS primary care trust and a strategic health authority. He also went on to advise the Home Office on inner-city drugs strategies. Yet Ian had not set out on a career in social policy. No fan of his school days in Bradford, from which he emerged with three O-levels, he had joined the former West Riding county council in 1964 as a trainee project coordinator, moving to Manchester in 1969 as a management services assistant and to East Sussex in 1971 initially as a senior management services officer. It was in East Sussex, the springboard for so many sector leaders over the years, that Ian moved into social services, becoming a deputy divisional director. To address his lack of any social work qualification – he by then had two diplomas in management studies and administration - he took a part-time masters in public policy at Bristol University, which he relished. After 11 happy years in East Sussex, Ian moved to Hillingdon in 1982 as assistant director and subsequently director. He was appointed DSS in Oxfordshire in 1988. Drew Clode, who was ADSS (and then ADASS) press and policy adviser, judges Ian to have been “one of the greatest” presidents. 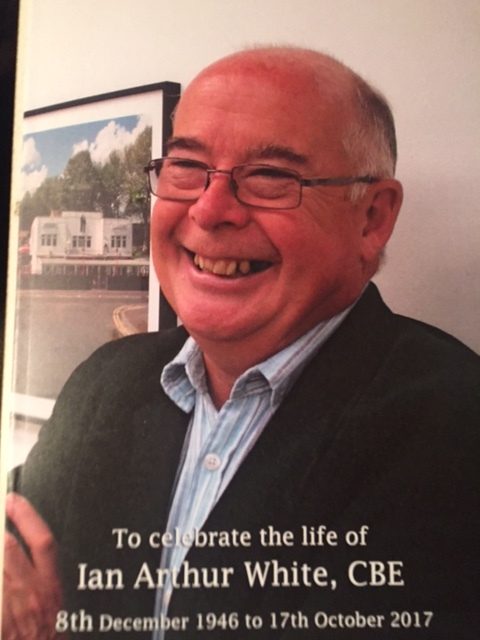 “He held the post at a monumental time in the history of British social care as it was slowly being weaned away from an over-dependence on social work and was being shifted towards a far more managed future, albeit one that would sustain the moral passions that lie at the root of the profession,” Clode said in a tribute at Ian’s funeral. After leaving Hertfordshire council, Ian, who had been made CBE in 1995, was able to devote more time to his photography, his fascination with history and his golf. A classic late convert to the benefits of formal education, he picked up a BA in photography at Westminster University and an MA in medieval history at Birkbeck, University of London. Had it proved possible, no doubt he would have squeezed in a degree in golf studies as well. As it was, he was diagnosed with an inoperable brain tumour in October 2016. His final months were spent surrounded by his loving family, most especially his wife, Imogen, whom he had married in 2000. Perhaps our lasting image of Ian White ought to be one recalled by Clode in that tribute. At an official dinner on visit to Japan during his presidential year, as part of a Department of Health delegation, Ian was summoned by Tokyo’s governor to lead the customary post-prandial karaoke. At first highly reluctant, but reminded by the senior DH official seated next to him hat it was no less than his patriotic duty, he proceeded to deliver a well-received rendition of Hey Jude. Only at the very end of his funeral did it emerge that Ian would gladly belt out his favourite song, House of the Rising Sun, at every opportunity. On that night in Tokyo, he must have decided that Hey Jude was lyrically the safer bet.